GM Review: We Be Goblins! Our gaming group plays Pathfinder. We just finished the fourth module of Rise of the Runelords. Fortunately and unfortunately our regular GM runs a successful toy store and he needed to concentrate on the upcoming Christmas rush amongst other things, so we were putting Runelords on hold. We needed a GM so I stepped up to the plate. I hadn’t GMed since I was a teenager improvising silly AD&D 2nd edition adventures with my brother and his friend. During Runelords I’ve been working on a campaign called Apogee. I want to run it continuously, so it was no good for our temporary hiatus. I’ve been hacking together an infinite dungeon campaign that vaguely intersects with Apogee, but needed to warm up on GMing. It was decided that we’d try the free Paizo one-shot adventure called We Be Goblins! This post will have mild spoilers for it, so if you or your group want to play it, head on over to Paizo, pick it up, have a ball and come back. From here on, there’ll be spoilers. 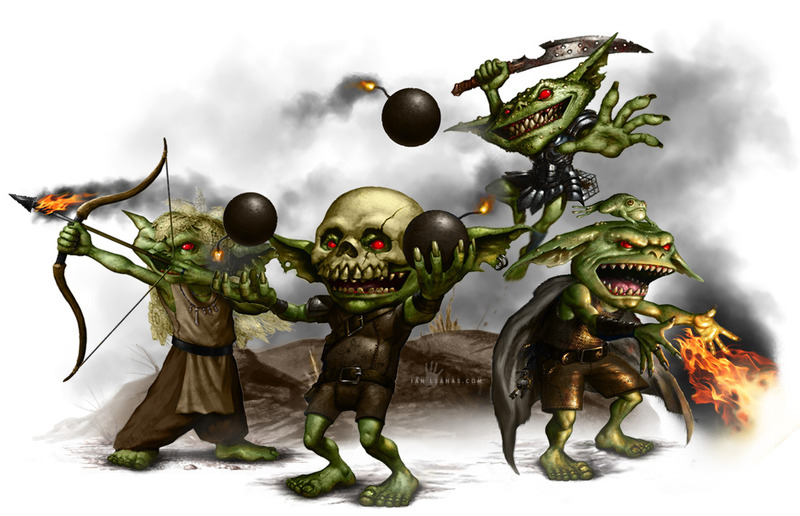 The general gist of We Be Goblins is that you’re a band of four low-level goblins, ordered by your chief to go acquire fireworks from a nearby wreckage. The back story and flavour text are pretty funny, and the whole adventure you are encouraged to play like goblins - destructive, impulsive, silly and comedic. For this adventure, one of our guys wanted to test out Realmworks. The idea is that it’s a cross-linked database of text and pictures for your game. 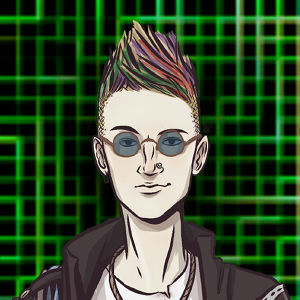 He went to considerable effort copying in the text from the module, extracting images and putting together a soundtrack. He played my offsider, organizing all this stuff and running some NPCs. We played at his place and his high-mounted mega TV worked well with it. The main idea is that when you’re describing something, you can click a few buttons and have Chief Gutwad pop up on the screen for all to see. All sorts of things can be given to the players with explicit controls for “they can/can’t see this”, including fog-of-war on maps. The module breaks down into three separate chunks: a crazy party, a fight with a scary spider, and a fight on a shipwreck with a cannibal and its animal minions. We took about three hours to do it, with the tempo slightly slowed because we had a wrap-up session for the Runelords module at the start (pushing the 7pm start back to 8:30ish), an important footy game was on, and kids wanted to interact. We also had to work with Realmworks, but my offsider did most of that. I think it went okay. Not great, not bad. I’m a good public speaker, but probably don’t do enough impromptu creative tasks. I’m not as expert as my group at Pathfinder (or RPGing in general), so they outmatched me in terms of combat and the like. I’m not sure if I should have done a lot more prep, but it wouldn’t have hurt. All in all, I think folks had fun. One thing that I think worked well is some custom rules to enhance the goblin feel. Each of the goblins have a little vicious song and we got them to recite them all at the start. I also offered small bonuses (+1 or +2, GM’s discretion) if before you were going to try something, that you declare it in the form of a two-line rhyming song like the goblin songs. This lead to some very funny and clever rhymes, and some hilarious failures which helped the comedy at any rate. Also, the goblins are given a small set of fireworks before they set off. I withheld snacks for the first little bit of the module and then supplied them with everything (strawberries, chips and lollies). In particular was a box of mini iced donuts with the rule that if they took a donut, they had to fire off a firework immediately in-game (and, amusingly, vice-versa). 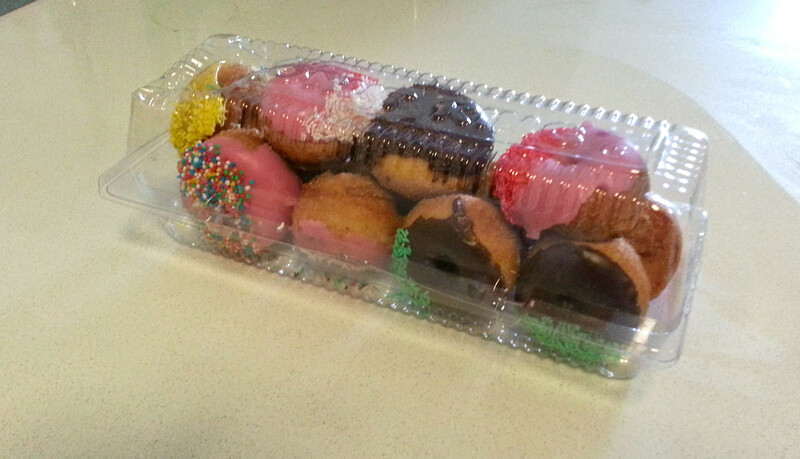 Upon starting their adventure they all fired off several fireworks, and feasted on donuts. I also encouraged mild mockery of each character. When it came time to present the dares, I asked: “Who is the best goblin?” Fingers pointed around the table, obviously knowing something was up. That first person got their choice of dare, then they got to choose the next person and so on. Nice way to force the dares and that mild impending doom. Plus if anyone failed their dare, they got mocked by the goblin tribe and players. There’s ways you can be very strategic as a GM and try to kill your players. Mostly intentionally I held some things back (like extra combatants) where it made things fun, and copped shenanigans happily. For example, Chuffy the goblin set off a big skyrocket at Vorka who had just retreated into the galley. I could have closed the door or been strategic about it, but I copped an exploding skyrocket in that small space for maximum laughs. I made a few rulings to speed things up or keep it exciting (technically a few poison effects kicked in, but it was kinda blergh mechanically and a close one in terms of the dice, so I let it go). There were a lot of funny scenes and letting the dice (and players) tell a bit of it helped. Having the pictures come up was helpful. You could point out things and have characters up on the screen. After the fight with Lotslegs the spider, they were rewarded with a picture of their exploits. On the laptop, it was useful to have a clear distinction between general text and GM text. We tend to play the situation as described and have the mechanics work out later, so it’s nice to have that clearly delineated. One of our other players printed out most of the module in a bound folder, and laminated the character sheets. This helped immensely. He also printed out maps for us to put minis on. The TV screen helped for an overview, but in moving dudes around, nothing beats minis on a table. My Realmworks offsider also prepared a tea-soaked Scribbleface’s map, which was neat. During the spider fight we played spider combat music through an iPhone app. You could click a thing during an attack and there’d be a stabby noise or a spider screaming. Quite neat. I tuned it out mostly, but it added atmosphere. I was naturally rusty, so that was a little annoying, but par for the course. It was a little intimidating being across the table from such Pathfinder veterans (both in playing and GMing) but the atmosphere was good so it was mostly me psyching myself out. And in any case, it’s not just the GM’s role to get the adventure moving, but the players help as well. I grew more confident over the night (or as the caffeine kicked in). I think my energy for the module was a bit more than the players. There were a bunch of things I was really unprepared for: the spider attack and casting spells. Not that there was a lot to prepare. I should have known that Web was going to be used in the Lotslegs encounter but I totally didn’t. And since I’ve never played a caster with that spell, I’ve never had to know how it worked. I think I flubbed that. I also didn’t know how to spring the Lotsleg encounter and when I did, I didn’t do it effectively. I messed up reading a stat block and gave Lotsleg waaaaay too many attacks initially (luckily the dice had my back and rolled poorly). I think the Vorka fight on the shipwreck went as well as it could. Little bit of tension and a lot of hilarity. I even got to pull a cunning GM move (Vorka had spider climb, ducked around a corner out of sight and scaled a wall, confusing the players when they came around as well and she was gone). I didn’t know how a lot of her spells worked. My next mini-campaign may work cleaner because I’ll be in control of the content, so I should be prepared with what is required. It still requires me to prepare that all before the game (so I need to keep my content paced with the players), but oh well. For many potential reasons my description was a little unsatisfactory for me. I used two very similar descriptions for deaths in the one fight. Vorka the cannibal is supposed to taunt the players with descriptions of how she’ll eat them. I didn’t do that nearly enough and I should have prepared a few quips to cut down on the improv mind-blank. My players didn’t pursue Lotsleg’s treasure. It’s a little hard to motivate it, but I did try mentioning that there were a swarm of little spiders spreading westwards (suggesting that her lair was that way). I’m not annoyed though - it’s easy to miss or just push on. One of the dares was for a goblin to eat a bag of bull slugs quickly. I offered the opportunity to just roll the dice or do a physical challenge. The physical challenge was declined, but understandably so. Later on I revealed that the lollies I brought (cola gummi worms) would be covered in BBQ sauce and you had to literally eat a bunch quickly. Not sure it was worth the effort, but oh well, no biggie at all. Realmworks was good when it worked. But it was slow, even on a decent machine and locally hosted. The interface is not clean and intuitive, so you can’t just bounce around things like you’d want. It’s also slightly clumsy to bring a single picture up on screen: you have to go to the right tab, scroll past empty fields to the picture, make it player visible, open it in a new tab, review that tab in player view and THEN click “Show Players”. Maybe that was our inexperience with the product (which might still be beta). You also won’t get anything out of Realmworks if you don’t have a large TV or projector as there’s no current way to share data or collect it into a PDF. We have a bye next week so I’m preparing my infinite dungeon-of-sorts. I’m working out what to tell my players because it’s a campaign that works best if you’re thrown in the deep end. I’ve given them (ALMOST) complete carte blanche to make whatever crazy character builds they like, so it’ll likely be chaotic in both execution and alignment. My initial warning to them was “don’t assume anything with this dungeon”. I’m excited about it, but I think the lack of adventure might dampen the excitement for the players. I’ll do a GM’s notes for each of those sessions so you can see how it goes. I might make the materials freely available for others to play it.